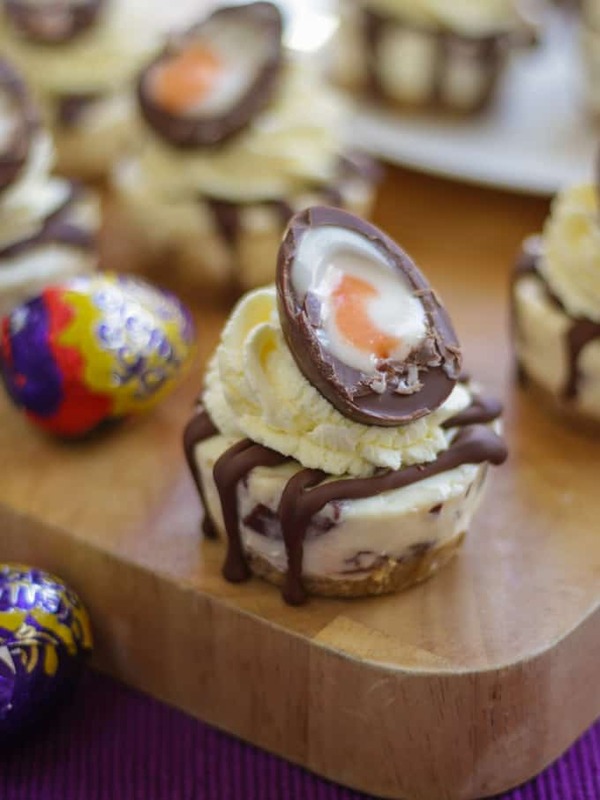 No Bake Mini Creme Egg Cheesecake Recipe – delicious light and creamy no bake Easter dessert. The perfect cake for your Easter celebration! 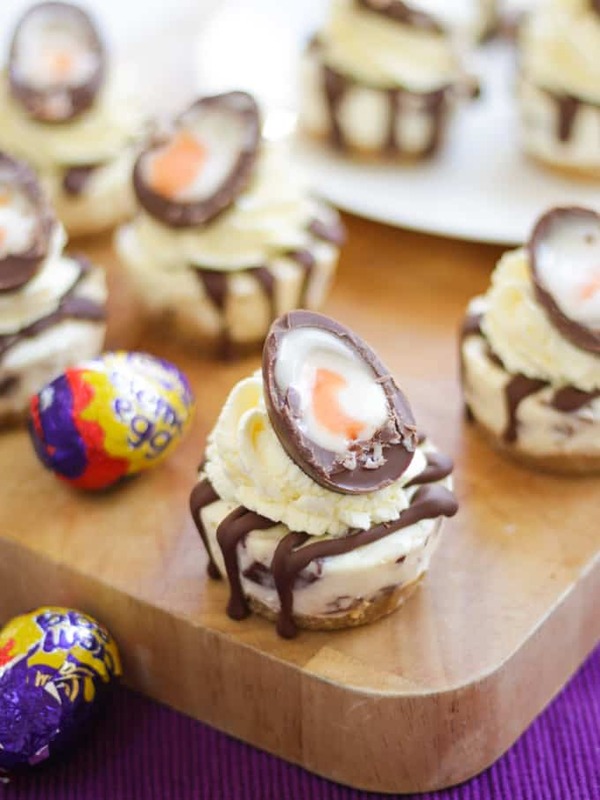 I use a muffin tin similar to this one to make the No Bake Mini Creme Egg Cheesecake. It fits these little gems in perfectly and is non stick so they pop out easily. Available on Amazon: 12 Hole Regular Muffin Tin. 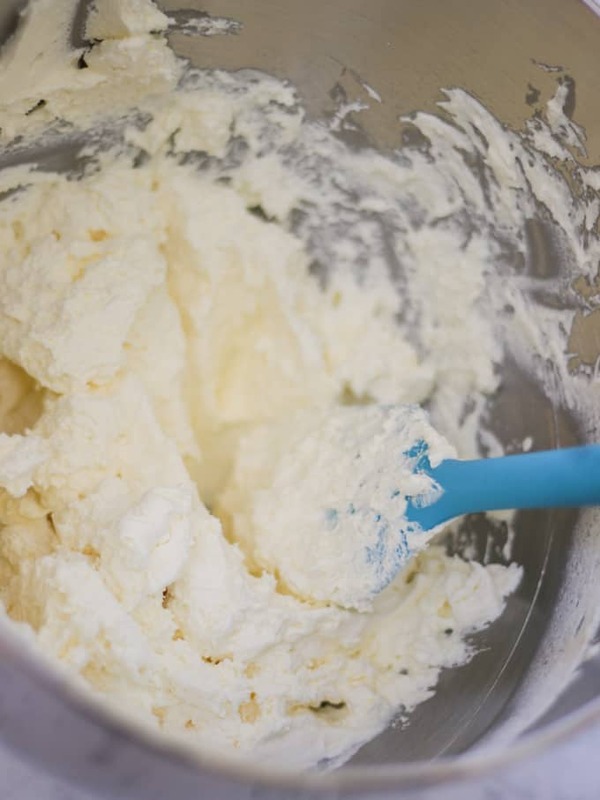 Be sure to beat your cream until quite stiff, this is what will help your cheesecakes keep their shape. Only use full fat cream cheese for this recipe, it seems to make a big difference to the stability of the cheesecake. For piping both the melted chocolate and the cream on top I use these Disposable Piping Bags on Amazon. SO easy to use and much more hygienic than washing piping bags. For piping the cream on top I use a Large Star Nozzle like this one on Amazon. I do think it makes a big difference to the end presentation. Fancy a different filling? Mix it up and swap in the Creme Eggs for the same weight of any other chocolate. Yes! I actually find these mini cheesecakes much easier to handle and pop out of the muffin tin when they are frozen. Just don’t refreeze once partially or fully defrosted. Freeze undecorated, then decorate and keep in the freezer. How do you know when a mini cheesecake is done? These are no bake so they are quite forgiving – no overcooking of course! Just touch the top of them to check that they are set before turning out of the muffing tin. 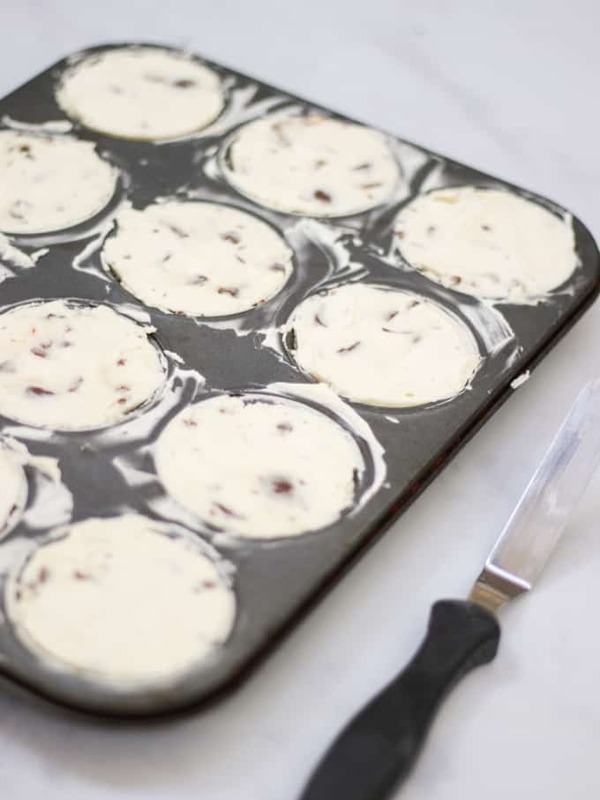 How do you get mini cheesecakes out of a muffin pan? I find that this is much easier if they are frozen. I run a small sharp knife (VERY carefully) around the edge and use the knife to flip up a little which pushes the cheesecake up and out. If you are struggling, run some hot water over the back of the tin for a couple of seconds to loosen them. Be careful though as this will melt them quickly. 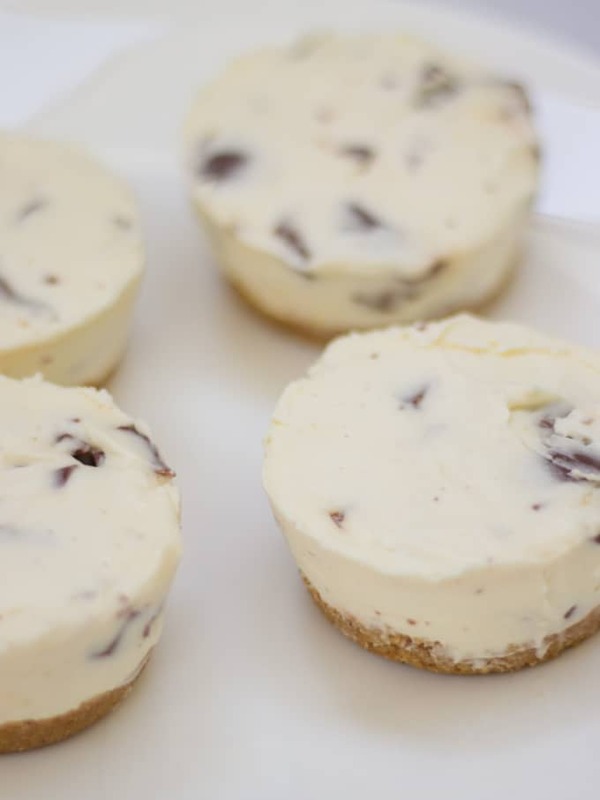 I’d love to know how you got on and what you thought of the recipe if you make these No Bake Mini Creme Egg Cheesecakes. Please rate the recipe and leave me a comment below if you do. 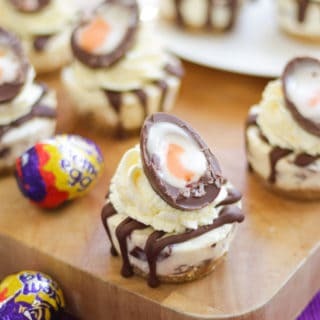 I’m always looking for good cheesecake recipes to try out and came across your mini creme egg cheesecake. It looks delicious, can’t wait to try it tonight! Hope you enjoy it Karry! Can you keep them in the freezer for a couple of weeks? Just thinking of pre making for entertaining. Yes, keep them in the freezer undecorated and then let them defrost and decorate before serving. Hope you enjoy! Have you ever made them as a crustless cheesecake? No I haven’t, let me know how you get on if you try!